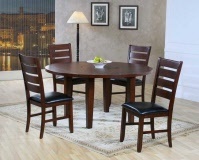 Get all of your kitchen furniture right here! 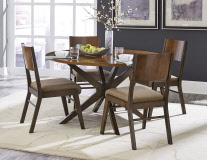 When you envision your casual dining space and that fantasy leans towards mid-century modern design, the Bhaer Collection brings you one step closer to your dream. 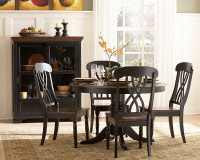 Ohana Collection captures the essence of a casual country home. 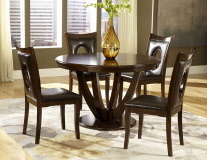 The 5-Piece Group includes the Dining Table and 4 Side Chairs.